A women's shooting & outdoors organization where the faces are friendly, the members come from all walks of life, and where introducing women to the outdoors is our mission. We are DIVA WOW. Learning to shoot or hunt shouldn't be intimidating or hard. Women want a safe, educational environment to learn outdoor skills without hassles or judgement. You've found that place. DIVA WOW has been helping, teaching and supporting women in their outdoor journey for two decades. Our mission is to introduce every woman to the fun of shooting, fishing, and hunting. Attend a clinic or join a league and master skills you've always wanted to try. A family-friendly, educational experience awaits. An all day experience in multiple disciplines provides ladies with hands-on experience in a controlled, safe, but super fun environment. Certified instructors, a wealth of experienced mentors, and an army of volunteers take you on a non-stop participation journey of pistols, rifles, AR-15, black powder, shotguns, two kinds of fishing, BB guns and slingshots, and sporting dogs. A fun filled day for women and youth alike. Lunch will be served, and there will be lots of opportunity shop with a wide selection of vendors. Take part in a wide variety of activities outdoors. Never sit still. As a member of DIVA WOW, participate in dog sports, hunting, and traveling with women who enjoy the same things as you. Many of us are used to being 'one of the guys' on hunts or at the range, but you don't have to be. We are a sisterhood of likeminded women who enjoy the outdoors. Come join us...to learn, to share, and to laugh. One look at our calendar will give you peek into all that we have planned for 2019. Learn some new skills, or take the opportunity to mentor another outdoors woman just like you. Just like us. 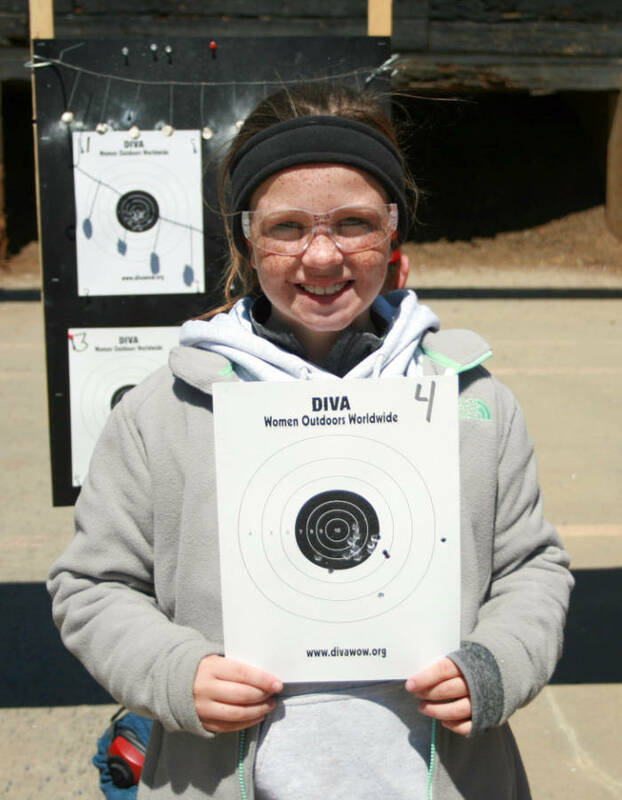 DIVA WOW provides shooting activities for our members to participate year round. Pistol Leagues, Rifle Leagues, Shotgun Leagues with emphasis on Winchester/NRA Qualification Programs. The Program has the largest numbers of Distinguished Experts within our ranks. We also participate in NRA Women on Target Postals, National Charities Shoots and Celebrity Hunts. We encourage all of our members to acquire individual & team recognition. From the fields and waterways of America, to the front lines of law enforcement, Remington shotguns continue to lead the way for the American way of life. Perfection meets tradition. Discover The Beauty Of Nature With Swarovski Binoculars, Scopes And Spotting Scopes. Download the Ballistics Program.